Reception is located by the main entrance and is open from 9:00 to 16:30 Monday to Friday. Our receptionists welcome visitors, direct you to where you need to go and provide assistance where appropriate. 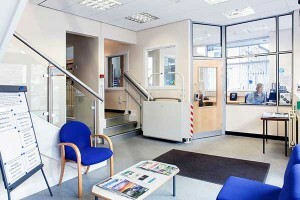 We also manage bookings for Community House meeting rooms at reception. Additional services including photocopying are available at reasonable rates from Harrogate & Ripon Centres for Voluntary Service (HARCVS). Reduced charges are available for members. 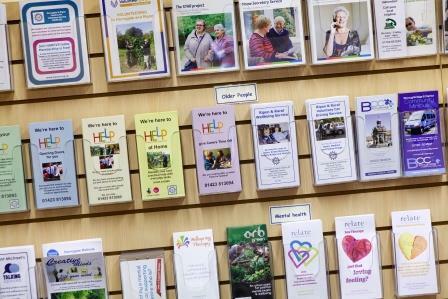 The Resource Centre is managed and stocked by Harrogate & Ripon Centres for Voluntary Service (HARCVS) and is open to all voluntary and community organisations working in the Harrogate District. 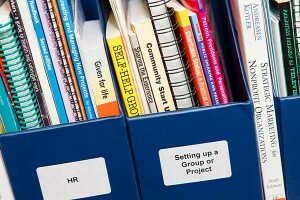 A library containing books on topics including fundraising, grant-making trusts, creating and managing new projects, volunteer management and promoting your organisation’s activities. How do I display information about my organisation at Community House? Many people visit Community House each week and pass through the Information Centre to attend meetings. Providing us with up-to-date leaflets about your services will enable you to reach more people in the area. 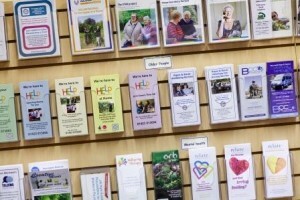 It will also help HARCVS to signpost visitors and callers to your service. If you are a local voluntary organisation or community group and would like to display your leaflets in the Resource Centre, please send these to Community House, for the attention of Angela Jones.